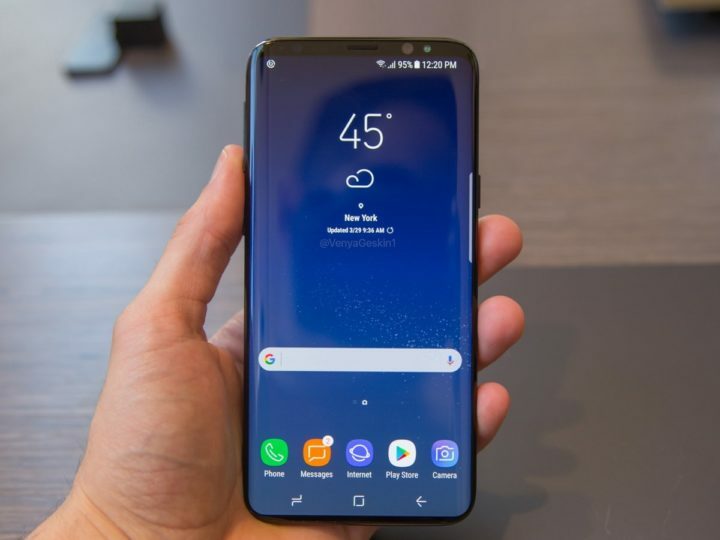 It probably won’t surprise most of you, but Samsung has apparently told The Korea Herald that a showcase of the Galaxy S9 at the Consumer Electronics Show in Las Vegas next month is “unlikely.” Following the first such report that said the Galaxy S9 could be showcased to a few people at CES, there has been some talk of a possibility of the S9 being officially launched in January to tackle the iPhone X, but it seems to be a baseless rumor just like the one we hear each year for every upcoming Galaxy S flagship. What Samsung could secretly showcase at CES is its foldable phone, which has been called the Galaxy X in the rumor mill and was even spotted on the company’s official website. The Korean giant has said before that it plans to launch a foldable smartphone in 2018, and like experimental devices like the Galaxy Round before it, it’s possible a few lucky folks will be treated to a glimpse of (or given substantial information on) the Galaxy X at CES. But the Galaxy S9 will most likely not be in attendance and should get unveiled at a dedicated event at the MWC like all of its predecessors. The rest of The Korea Herald’s report talks about previous rumors, such as the possibility of an 89-90 percent screen-to-body ratio and Samsung’s inability to ready an in-display fingerprint sensor for the Galaxy S9. Word out there is that Samsung has chosen to go with a different supplier for the fingerprint sensors on the S9, and unlike the S8 and Note 8, the Galaxy S9’s fingerprint sensor will be easier to reach. The company has also reportedly started testing the Galaxy S9 with Android 8.0 Oreo. Last but not the least, our sources tell us Samsung’s upcoming flagship will come in a brand new purple/violet color variant. I have to say, i told you so. When you start the rumors they will be show the device early next year ,i said the same thing every year is the same,and every year they show the device by the end of February or the first weeks of march,and put it on sale by April, EVERY year is the same,you should know that because we are already on the 9 Version of the Galaxy.